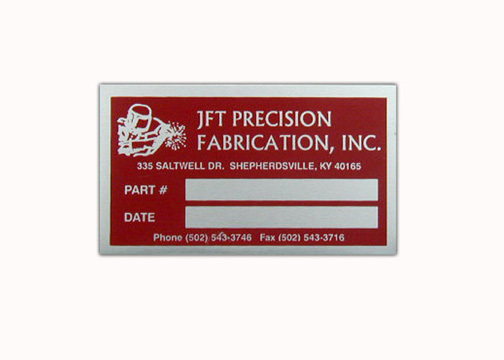 There are 3 common processes to put an image on an aluminum nameplate. 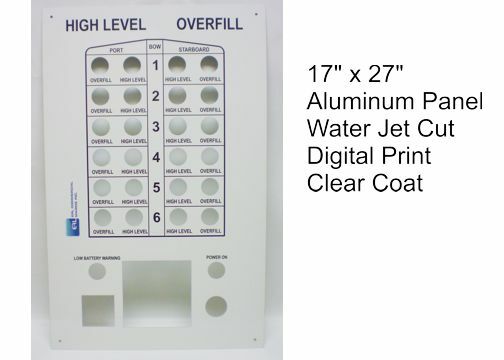 Screen Printing: This process is the least expensive and the most common. 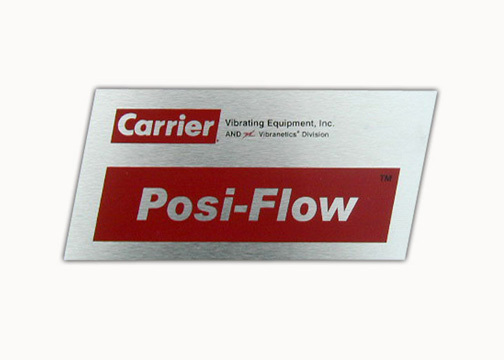 The outdoor durable 2-part ink is transferred onto the anodized aluminum by a silk screen. 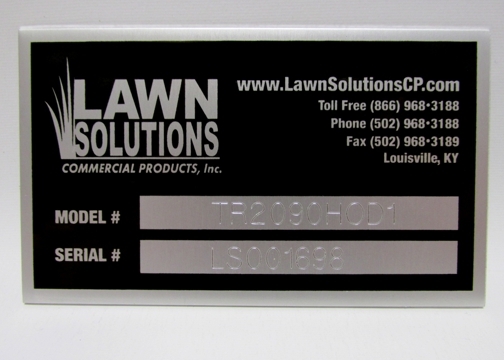 These nameplates have a 10 year outdoor durability under normal conditions and are extremely durable. Custom colors, multi-colors, short or long runs are our specialty. Photo Anodizing: A step up for durability over screen printing, however, black is the only color that has long term durability. This process is performed by exposing light to the plate that has a photo sensitive coating on it, then sealing it in a anodizing bath. 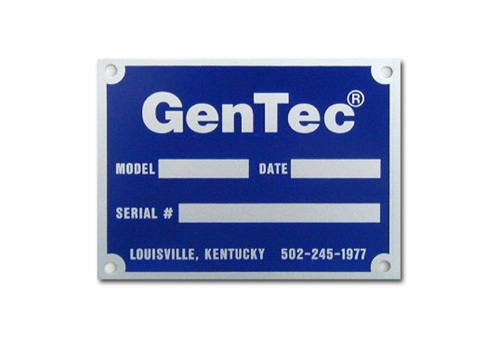 These nameplates have a 20 year outdoor life under normal conditions, and are chemical resistant. 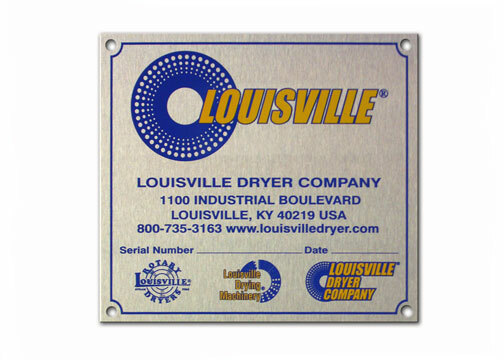 Chemical Etching: Chemicals etch the aluminum plate, then ink filled. Custom colors, multi colors, short and long runs available. 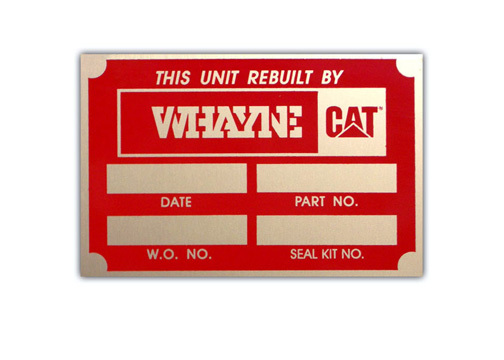 The durability of the ink is the same as a screen printed nameplate, however, if the ink is removed by solvents or chemicals, the plate is still legible due to the etched image. Pricing by quote only and is more expensive than the other two processes. 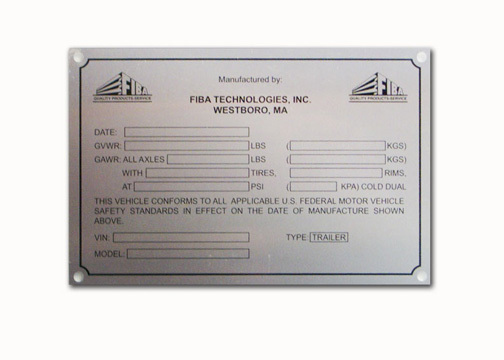 Aluminum Nameplates are provided with a removable protective clear film mask and stacked and packaged in groups of 50. 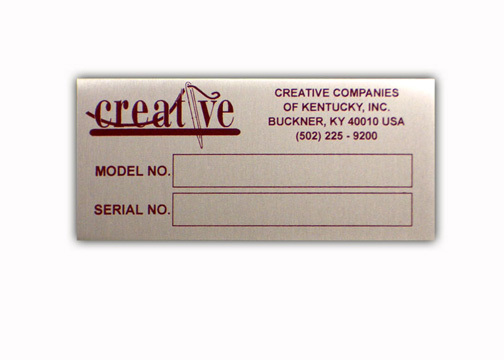 Plates with adhesive back are stacked and packaged in groups of 50. 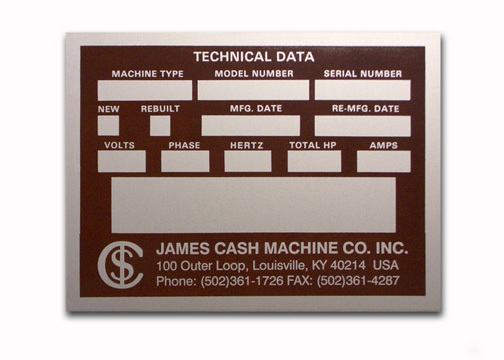 Diamond tip engraving is available to mark your serial numbers, model numbers, and other variable data. 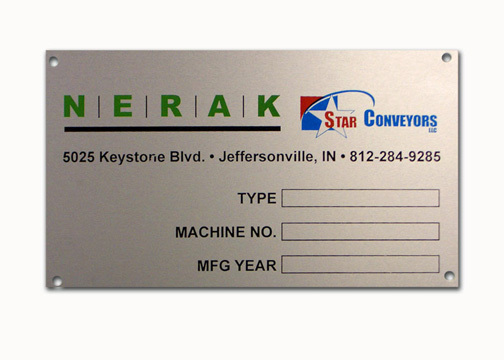 Some of our customers have us hold their inventory so we can engrave variable information on demand.